Safely shipping bulk chemicals on the high seas and inland waterways is vital to the transportation industry, and there is no room for error. Not only must the chemicals arrive at their destination with high purity, but also the ship’s cargo tanks, as well as the ship itself, must be protected from the corrosiveness of the liquids carried. For many early years in the chemical tanker trade, cargo tanks were typically built of stainless steel, which required ship owners to invest vast sums for tank construction. Then, ship builders began to use phenolic epoxy coatings on carbon steel tanks, which provided some lining protection for carrying low-risk cargoes. There were, however, special protections needed for carrying aggressive chemicals, and single tank linings weren't versatile enough to handle them all. As a result, ship owners had to make difficult choices about what their tanks would and would not be able to carry. 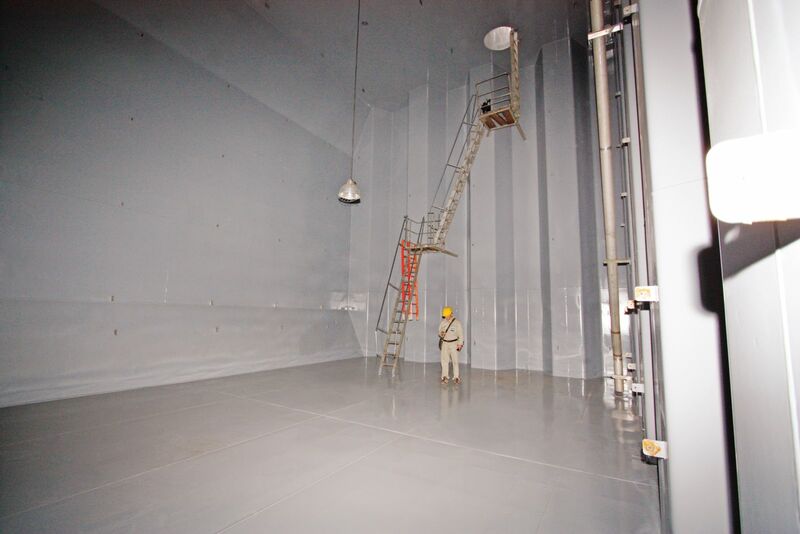 In the mid 1990s, the first-generation MarineLine cargo tank coating system was introduced to directly coat tanks constructed of mild, carbon steel. This approach provided resistance to a broad range of chemicals, and within several years, the use of APC’s MarineLine was widely accepted. Today, coated carbon steel cargo tanks are the foremost choice for new construction. MarineLine was also designed to carry the full range of chemicals handled by stainless steel tanks, including coatings for aggressive acids. Now there are more than 750 chemical, product and barge tankers coated with MarineLine worldwide, covering more than 10 million square meters of cargo tank surface area. 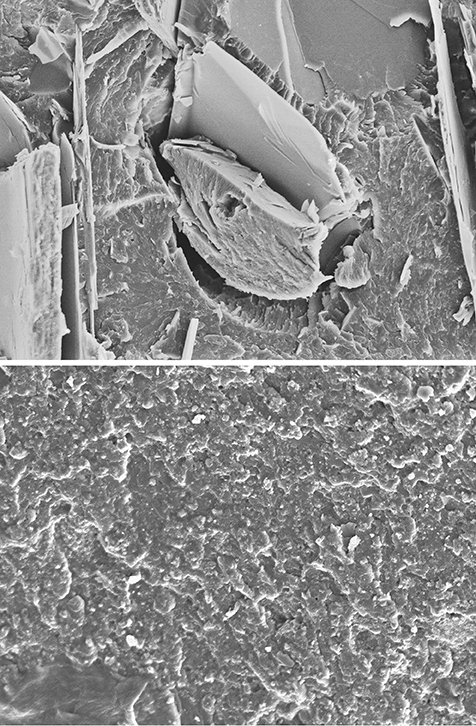 To see the difference in higher, more dense cross-linking, these microscopic coating surface images were taken at TUBITAK in Turkey at a 1000x magnification, comparing a standard epoxy coating (top photo) with the MarineLine coating (bottom). For a number of years, APC studied a range of conventional coatings, including epoxies, phenolics, vinylesters, polyesters and zincs, to determine what chemical matrices produced successes and what weaknesses eventually led to failures or reduced capability to handle aggressive chemicals. APC chemists then engineered unique coatings that could achieve higher cross-linking (number of cross-links per unit of volume) of the polymer. The tighter, more dense chemical structure of MarineLine showed enhanced chemical and temperature resistance compared to conventional coatings. MarineLine has an ultra-smooth, glossy, low-energy surface that reduces venting time and uses fewer cleaning chemicals and less fuel/energy for cleaning equipment. 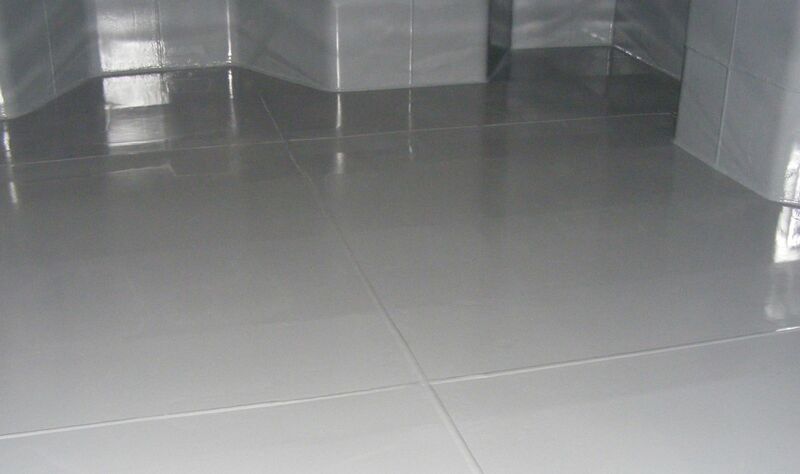 These features all lead to faster turnaround during and after cleaning. When needed, a wide range of approved cleaning detergents and chemicals can be used to clean and prepare the coating for the next cargo, allowing the ship owner/operator to maintain the coating with minimal effort. 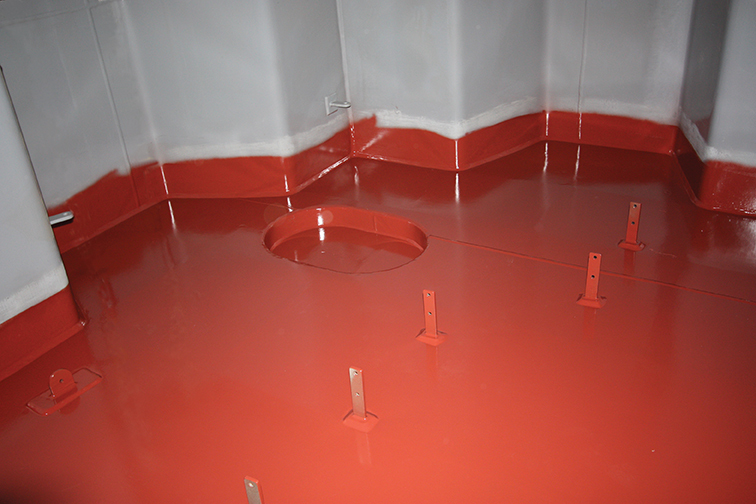 A close-up inside a MarineLine tank shows the ultra-smooth, glossy, low-energy surface. MarineLine is formulated to deliver more chemical resistance than stainless steel, phenolic epoxies and zinc silicate coatings. It handles acids, alkalis, solvents, CPPs (clean petroleum products), DPPs (dirty petroleum products), PFADs (palm fatty acid distillates), Veg Oils, Bio-Fuels, Methanol and other chemical substances. 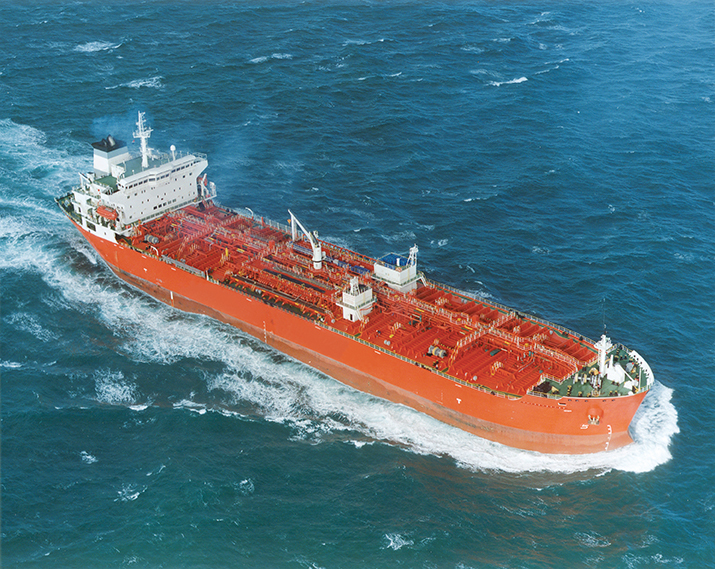 Because MarineLine has high chemical resistance and the tanks are easy to clean, the ship owner or operator can quickly switch cargoes for next voyages. This enhances cargo sequencing to maximize tank capacity usage and to carry the most profitable high-specification cargoes. MarineLine is also generally recognized as safe (GRAS) for carrying food-grade cargoes and fully complies with the FDA and all applicable food additive regulations. To ensure the performance of MarineLine, APC provides inspection services throughout the application process, using a six-step approach. This work focuses on the importance of good surface preparation, correct tank coating application and proper heat curing. Coating application work is checked by certified MarineLine inspectors. 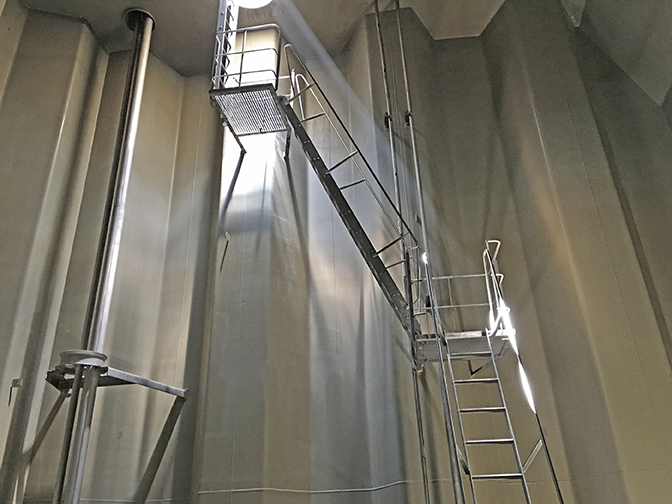 After a thorough spark testing and inspection of the coating application, the tanks are given a controlled ‘forced hot-air heat cure’ to promote further cross-linking. Once all work is approved, the vessel is able to carry the full range of IMO-approved chemicals in its cargo tanks directly after leaving the shipyard. There is no waiting time for additional curing or the need to carry hot cargoes for post curing, as with other conventional coatings. APC’s MarineMend coating repair system kit is designed for minor repairs of mechanical damage in small areas of MarineLine-coated cargo tanks. 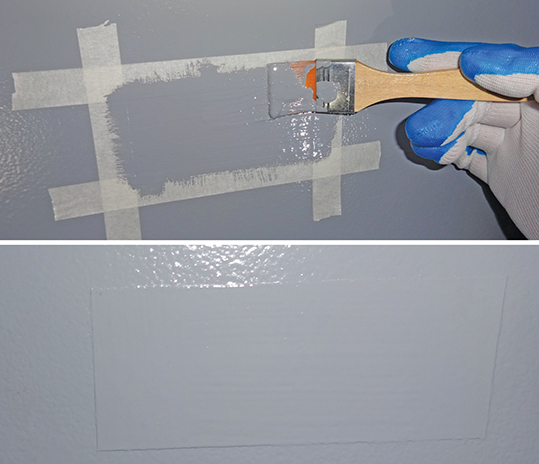 The MarineMend coating system, shown during a repair procedure (top photo) and after completion (bottom), was designed to make small repairs simple. More than 750 chemical, product/parcel and barge tankers rely on MarineLine cargo tank coating each day. The following mini case histories focus on key performance parameters. 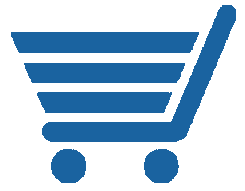 NST, formed in 2007 in Rotterdam, The Netherlands, operates chemical vessels trading in northwest Europe. These tankers, ranging between 5,000 and 8,000 dwt, carry hundreds of different chemicals and petroleum products, with ships averaging 60 voyages per year. The company has used MarineLine for nine years and has 12 MarineLine-coated vessels in its fleet. Using MarineLine allows NST to meet its critical need — to be able to load any type of product on these vessels, in any sequence, without imposed constraints from the cargo tank coating. NST has an impressive record for tank cleaning results, both in terms of quality of the end result and the speed of tank preparations and cleaning. This is due, in part, to the well-maintained and monitored MarineLine coating on these vessels. The very smooth, glossy surface of the coating helps NST achieve quick turnaround time in port, provides effective cleaning from the wide range of products transported and eliminates sources of contamination. Working on the theme, “The Future of Shipping,” this Swedish-based operator recently added four new vessels to its existing fleet, employing state-of-the-art technologies, including the MarineLine cargo tank coating system. 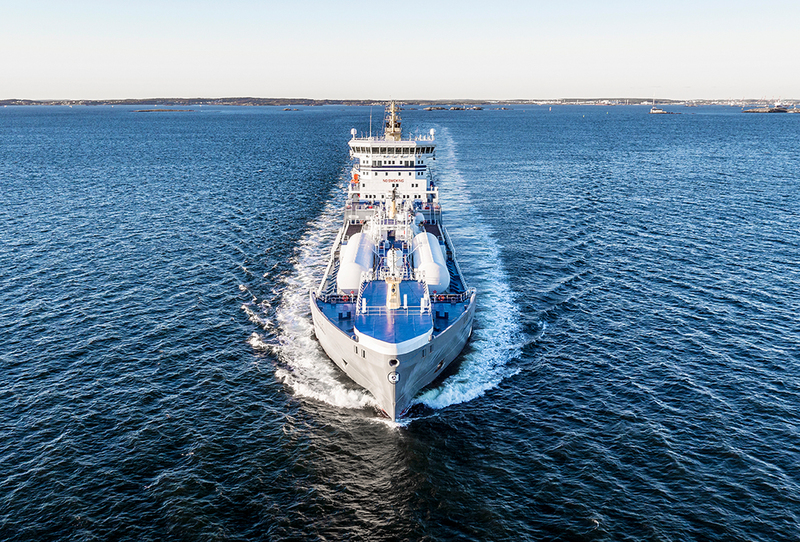 The first ship in the new series, the 15,000 dwt Ternsund, was named one of the Great Ships of 2016 by a leading maritime publication because of many innovations including being the world’s first LNG-fuelled newbuilding chemical/product tanker. Terntank’s Ternsund ship is the first of four state-of-the-art newbuild chemical tankers with the MarineLine cargo tank coating system. MarineLine fit in well with Terntank tankers’ eco-friendly mission. Terntank’s cargo tanks are quickly and easily cleaned, with some cargoes only requiring venting. During cleaning, less bunkering fuel is needed due to MarineLine’s non-absorption, low-surface energy and smooth surface features. This lowers emissions, uses fewer cleaning chemicals, and reduces cargo slops, all further positives for the environment. This shipping company says it ensures its tanks receive proper cleaning, regular maintenance and planned-on board inspections, as needed. APC has documented that well-maintained MarineLine tanks have been in service more than 10 years and are still performing at their expected service level. When needed, minor coating repairs to the coating have been easily made using APC’s MarineMend Repair coating system. After a recent onboard inspection, the eight-year-old MarineLine cargo tank coating on the M/T Borchali is shown in excellent condition. The photographs shown here of one of Palmali Shipping’s vessels, the M/T Borchali, a 14,000 dwt chemical tanker with 15 cargo tanks, shows the smooth, high quality of the MarineLine tank lining surface even after eight years of service. 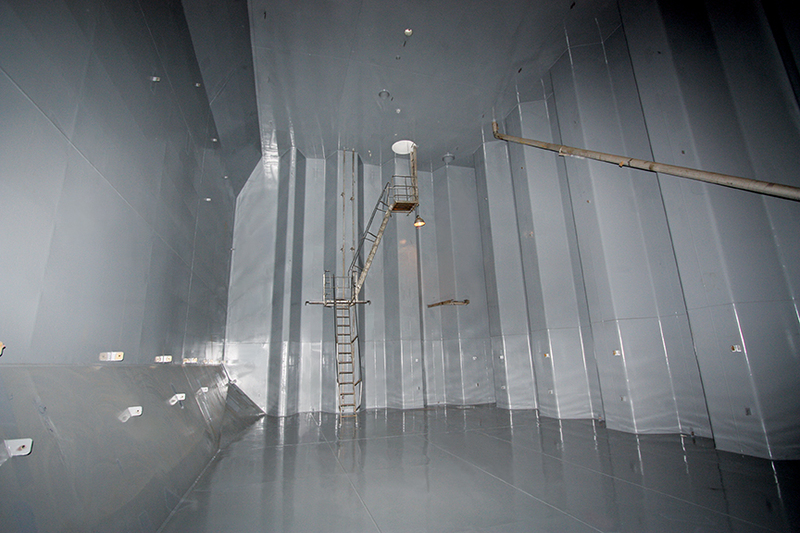 To handle the widest range of cargoes, ship owners and operators need a versatile coating system that can maintain a smooth, hard surface after many cleanings. With these attributes, the MarineLine system can lead to enhanced profitability for ongoing voyages. 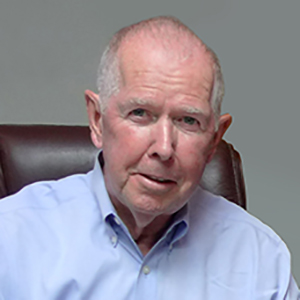 Donald J. Keehan, chairman of APC, has been involved in starting and running a number of polymer-based technology companies since the 1960s. He has pioneered the use of proprietary patented polymers to create high-performance coatings, including the well-known MarineLine® and ChemLine® brands marketed by Advanced Polymer Coatings today, used by the maritime industry and others worldwide.